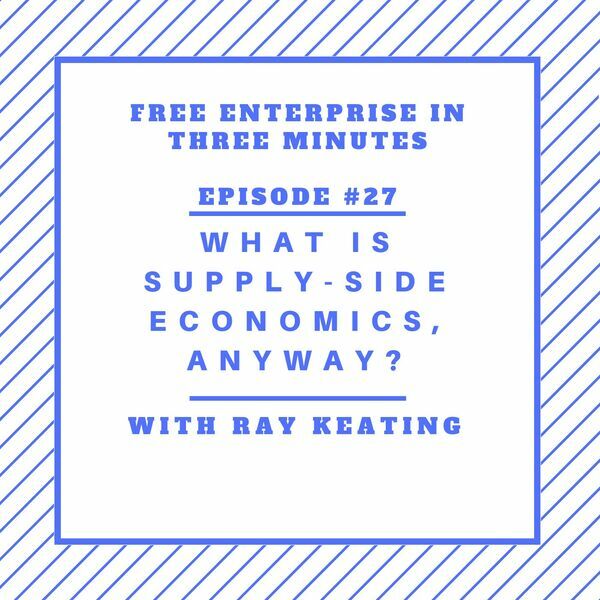 Free Enterprise in Three Minutes Podcast with Ray Keating - Episode #27: What Is Supply-Side Economics, Anyway? Episode #27: What Is Supply-Side Economics, Anyway? Ray Keating counts himself as a supply-side economist, but the term “supply-side economics” has been ill-defined over the years, often for political reasons. Keating looks to set the record straight by summing up the basics of supply-side economics. All content © 2019 Free Enterprise in Three Minutes Podcast with Ray Keating.